The project evaluation and review technique (PERT) is the most well-known method to handle the risk due to uncertain activity durations, previous studies show that the β-distribution-based PERT estimation tends to be over-optimistic and it offers no control of the project in terms of risk duration. This study proposes a multiple risk-level (MRL) model that uses a site spatial constraint, environmental effects and the “5 Ms” of construction management to tackle the duration of risk during a construction project. A Risk-based Critical Path Scheduling Method (R-CPSM) that uses MRL is developed to calculate the duration of the project. A case study using a project selected from a previous study is used to compare the four estimation methods: two traditional PERT methods (3.2σs and 6σs), a Monte Carlo Simulation and the proposed MRL model. 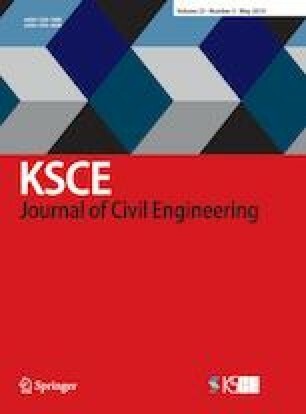 The results show that, compared with traditional approaches to estimate durations of uncertain activity, the proposed R-CPSM method is more systematic that can be combined with a cost estimation process and offers a rectification mechanism that dynamically monitors and adjusts the important factors that affect the risk duration. This method gives a more realistic estimate that is in agreement with the results of previous studies.